The Oswego personal injury lawyers at Michaels & Smolak have handled many cases for residents of Oswego County. Oswego is the county seat to Oswego County, and is located on the southern end of Lake Ontario. Oswego is called the “Port City of Central New York” as the Oswego River empties into the Lake Ontario. The swift currents of Oswego River run through the City and thousands of Salmon and Steelhead fisherman from throughout the world travel to Oswego and the surrounding communities, including the famous Salmon River in nearby Pulaski, Oswego County, during the incredible annual spawning runs. Lake Ontario, during the Spring, Summer and Fall, and its numerous tributaries, in the Fall and Spring, provide anglers with world class sport fishing opportunities. Lake Ontario is host to numerous fishing derbies where participants test their skills and compete for large cash prizes. It is no surprise that many Charter boat and Sport fishing guides make Oswego County their home as the sport fishing is a multimillion dollar tourist industry in Oswego County. Oswego includes numerous other opportunities recreational opportunities, Fort Ontario, in Oswego, is a nicely preserved historical site. The Oswego Speedway is home to the 200 lap super modified Labor Day race Budweiser Classic and Race of Champions. Each July, the City of Oswego hosts a multiday event “Harbor Fest” which concludes with fireworks over Ontario Bay. Oswego is also home to the State University of New York at Oswego. Oswego State University has an enrollment of over 7000 undergraduate students and offers a large variety of courses of study. It is a 4 year institution and part of the State University of New York (SUNY) system. Oswego is known to be one of the snowiest cities in the world. Moisture accumulates into the atmosphere over Lake Ontario and during the frigid winters the prevailing winds cause a huge amount of “lake effect” snowfall. The personal injury lawyers of Michaels & Smolak have often braved the short wintery drive to Oswego to visit clients or to appear in the Oswego County Courthouse on behalf of their injured clients. Because of the significant snowfalls, “whiteouts” and other adverse weather events caused by its proximity to Lake Ontario, it is not unusual for parties to suffer weather related injuries. The personal injury lawyers at Michaels and Smolak have handled numerous Oswego weather related claims such as slip and falls, automobile crashes due to sliding off the roadway, collisions from sliding into the oncoming or an inability to stop. The adverse weather conditions require drivers to exercise caution and the law requires that drivers travel at speeds safe for those conditions and to exercise reasonable control. Examples of Oswego accident cases our personal injury attorneys have handled include one where a motorist was struck broadside while attempting to make a left turn and suffered serious injuries, another where a snowmobiler was struck head-on by a car, and another where nine migrant farmworkers’ labor camp exploded when propane gas ignited in it. That last case made headlines when Michaels & Smolak attorney Mike Bersani convinced the Court to allow his clients to give testimony by video conference from Mexico and Guatemala. Our attorneys know how to decide, early on, whether a case is worth pursuing. Not all cases are “winners”. For example, we once turned down an Oswego case where a municipal snowplow, with its beacon light flashing, and with its plow just barely over the centerline, struck an oncoming vehicle. The problem was that the law did not favor the injured motorist. Although the snow plow driver may have been negligent, mere negligence was not enough. That’s because New York’s Vehicle and Traffic law (VTL) §1103 protects municipalities (cities, counties, town’s etc) when their hazard vehicles (including snowplows) are performing work on a publicly owned and maintained roadway. Under those circumstances, the law requires not just negligence, but recklessness on the part of the municipal driver. Under the facts of this case, with the plow barely over the centerline and the lights flashing, recklessness could not be proven. In fact, another lawyer took the case, but the Court dismissed it because the injured motorist could not prove recklessness. 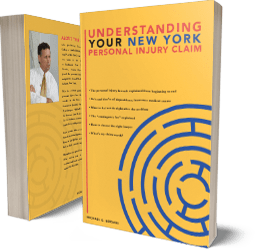 The Oswego personal injury attorneys of Michaels & Smolak’s regularly handle matters in Oswego County for their Oswego clients’ injury cases. Michaels & Smolak prides itself on client service, and therefore if you wish to meet with a personal injury or medical malpractice lawyer in the comfort of your own home, don’t hesitate to request a home visit. In any event, don’t hesitate to contact us for a free consulation.